Classic tough style with plenty of cushioned comfort comes in the SKECHERS Relaxed Fit®: Resment - Alento boot. 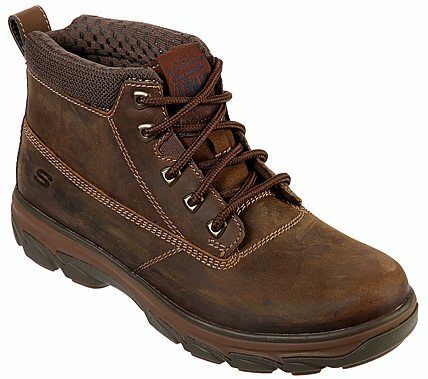 Smooth leather or smooth soft nubuck leather in a lace up ankle height comfort casual utility boot with stitching and overlay accents. Air Cooled Memory Foam insole.